The LLDC have announced that they have no plans to cancel West Ham United's 99-year lease of the Olympic Stadium - despite the arrangement being described by the group as "onerous". 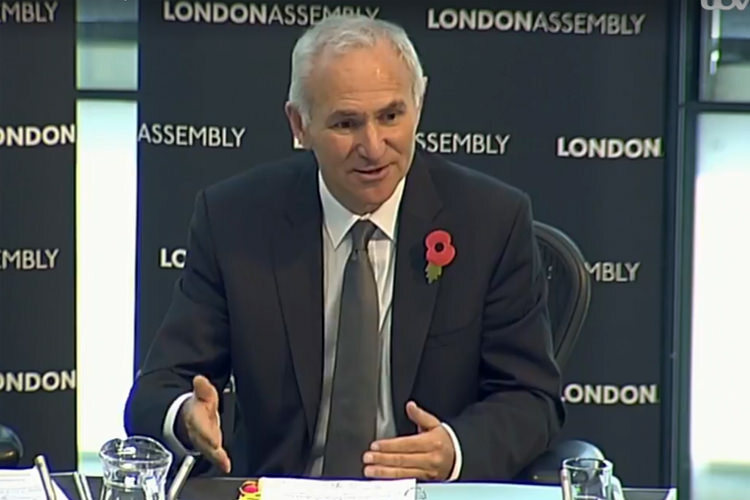 The Development Corporation’s new Chair, Sir Peter Hendy and Chief Executive, David Goldstone were quizzed for two hours by City Hall this morning on a range of issues surrounding the Olympic Park. Not surprisingly the stadium was at the centre of much of the discussion, specifically the funding arrangements following the revelation that there had been a reduction in operational losses with £24million of public money saved since 2014. Yet according to Goldstone, although the stadium continues to lose millions of pounds every year there are no plans to investigate scrapping the current agreement with West Ham. "We have a 99-year concession agreement with West Ham," he told the assembly. "Those contracts are onerous, we make a loss - but we are working to fix it so the losses are dramatically less. "We are looking to ensure the stadium contributes to the economic value of the regeneration that's being delivered and want to get it to a position where it breaks even and isn't a drain on resources. "Pulling out of the agreement is not one of things we're looking as at as we've got a 99 year agreement - and I think having Premier League football in the area is a big part of the benefit. "Such a [move] would require analysis of the direct financial costs to buy a Premier League club out of the home they're committed to for 99 years and the value that the stadium generates to the wider regeneration, which would be in the billions. "It's important that we recognise the value of working with West Ham as a Premier League club as the tenant brings enormous value into the area." Goldstone, who spoke to the assembly for two hours also confirmed that stadium operators E20 were hoping to introduce a new seating system ahead of the beginning of next season that would hasten the time required to convert the stadium from football to athletics mode - potentially saving around £4million (or approximately 50 per cent) per year. "There are various challenges around running the stadium," he added. "Specialist engineers are looking at possible ways to reconfigure the seating, to reduce cost which will require initial investment. "For next summer's athletics, we've looked at a different configuration that means the seats won't have to be moved all the way back. We can do partial changes to each of the stands which drastically reduces the costs of seat moves. "The East Stand is the largest and most complex to move. When we hosted the 2016 Diamond League events we took some of the rows off the front of the East Stand and moved some blocks, but we didn't move the stand - and that dramatically reduces the cost. "The opportunity to do that in future would bring down the costs very significantly. "We're then looking at the same for the other stands and asking how much do we need to move to make it work as an athletics venue and also to host concerts (which also bring in significant income) - and how much we can minimise the moves and therefore the cost and time. "It is still work in progress, but we've got a configuration for next year we've agreed with UK Athletics that saves more than half of the cost - plus we've got work going on with the engineers to see if there's something we can do to reduce those costs much further." * A recent KUMB poll of West Ham supporters resulted in 80 per cent claiming they are unhappy at the Olympic Stadium. Go here for further reading.